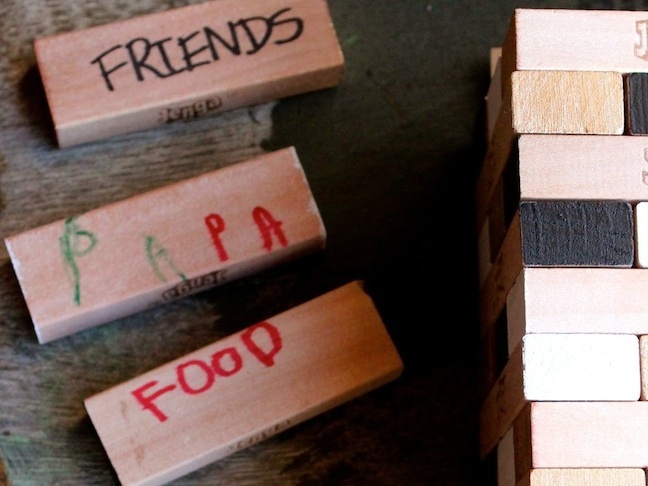 Jenga is one of our favorite games to play as a family. The traditional game of Jenga consists of a group of players taking turns turns to remove a block from a tower and then balancing their block on top of the same tower. As the game goes on, the tower becomes taller, thus increasingly unstable…and fun! The concept is easy enough for my youngest kids to grasp but challenging enough for my older kids, so it’s definitely a go-to on game night. 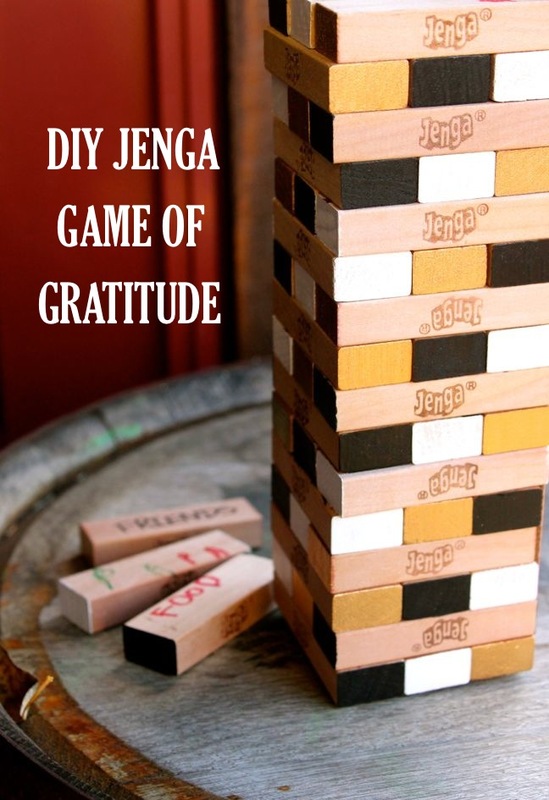 Without fail, we play Jenga every year on Thanksgiving—and when we combine the holiday with the game, it turns into a new, wonderful tradition I like to call a DIY Jenga Game of Gratitude. My family loves the tradition and having a chance to reflect upon the things they’re grateful for each year. Step 2: Add blue Scotch Painter’s Tape around the ends of each Jenga block, leaving the tips bare for painting. You will just paint the tips. We chose to add splashes of black, white, and liquid gold. You can choose whatever color scheme you wish. Note: If you use white, you will need to do 3-4 coats. For black and gold, 1-2 coats were enough. 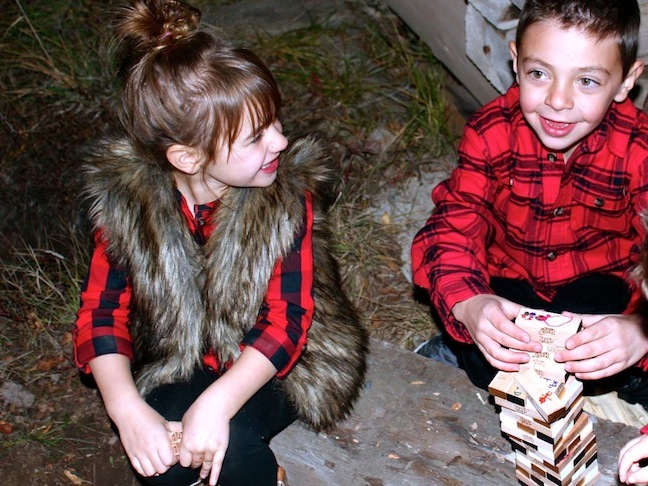 Make sure you paint the Jenga pieces more than 24 hours before Thanksgiving so they are dry. 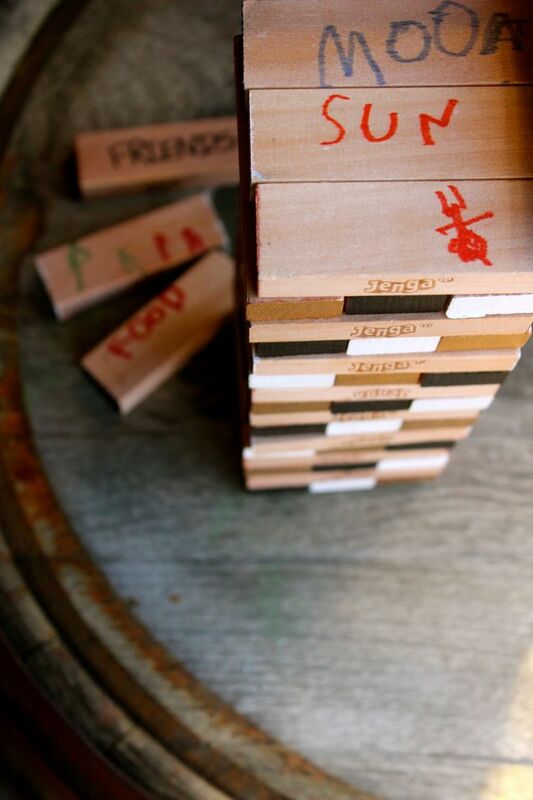 Step 3: Get the whole family together to write what you are grateful for with a Sharpie on each Jenga piece. You can use words or photos. 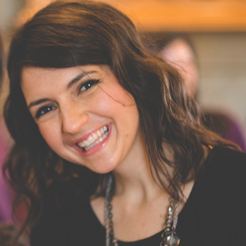 Writing words and/or photos of gratitude is a fun activity the entire family can enjoy prior to Thanksgiving. Or, if you can choose, you can make this an activity on Thanksgiving day where family and friends can participate, and then play the game on the same day/night. Step 4: Stack the game and PLAY! As families play the game together, they can remember and reminisce on what they are grateful for, piece by piece. And, it’s a game that keeps on giving as families play throughout the year.